My little brother got married this summer so we whipped up some mighty special details for his big day. First to share is the rehearsal dinner invites. 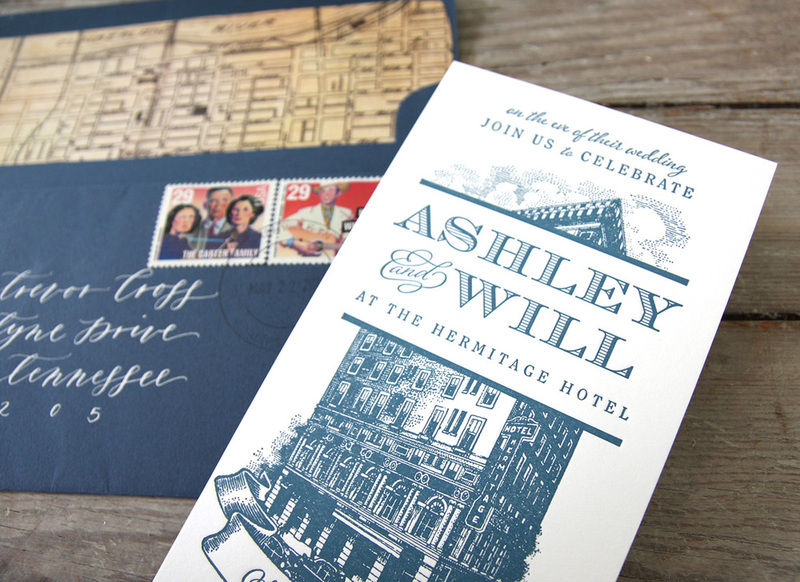 We used the vintage Hermitage Hotel illustration I'd originally scanned from an old letterhead. The card was letterpress printed on ultra thick stock to give it some heft. We then lined the envelopes with another vintage find, a Nashville map scan from an old travel booklet. We also illustrated this monogram "B", that is similar to the Hermitage Hotel logo, to use on napkins & menus.